Grand opening of The Golden Palms Lounge & Casino this Christmas at The Brewery! 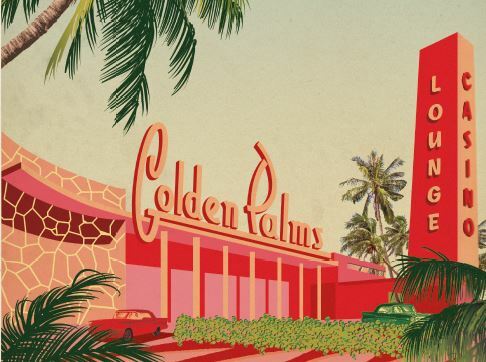 Attend the grand opening of The Golden Palms Lounge & Casino this Christmas and allow yourself to be transported back to the glory days of 1960s Las Vegas. Wander among the palm fronds, sip a cocktail at the bar, enjoy sumptuous food at the buffet, and head into the lounge to listen to the distinctive Rat Pack and all the other charming characters who’ll be joining you. With the choice of three different packages, offering a variety of options to help tailor your event specifically for you, The Brewery want to make sure that your Christmas party is a night to remember. The Golden Palms Lounge & Casino is only open for a limited period during the month of December, so if you want to visit, you’ll have to book soon! 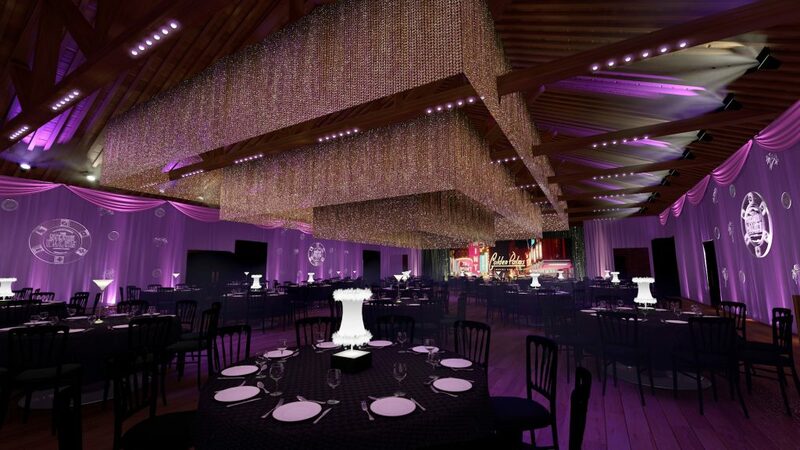 Depending on the number of guests you have, you can either hire the entire venue, or share the it with another party. Either way, you’ll experience the fantastic entertainers that will be weaving their way through the crowds, all surrounded by the gorgeous Golden Palms venue design. Keep an eye out for wandering magicians, the stunning chandelier contortionist, the mysterious fortune teller, and our Host – the owner of our casino, ready with a yarn about the last down and out gambler, and always looking for the next rising star. Choose from a standing buffet or a three-course meal for your guests. Highlights from the menus include lobster mac and cheese, pumpkin panna cotta, the traditional stuffed turkey, sticky fig pudding, pecan pie and much more to tickle your tastebuds, courtesy of The Brewery’s fantastic chefs. 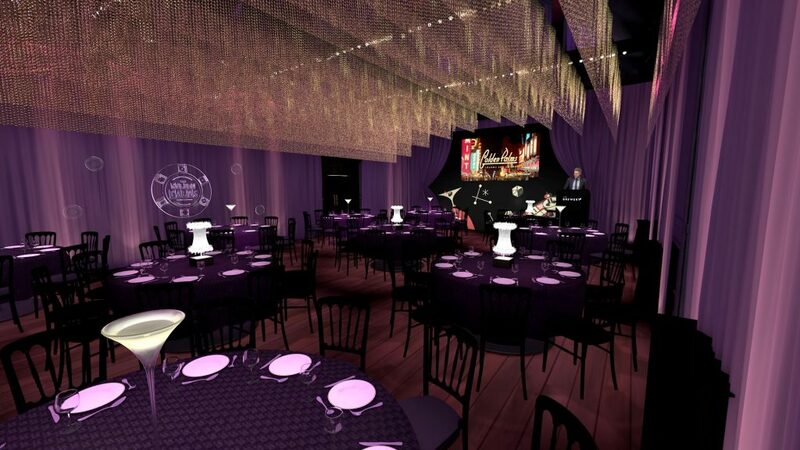 All this can be enjoyed from the best seats in the house, beneath the stunning crystal chandeliers and surrounded by the hubbub of the Las Vegas strip, all the while still in the heart of London. If you’re looking to celebrate Christmas in style, we still have some limited availability for this year’s Golden Palms Lounge & Casino Christmas party. While we have almost sold out our main Porter Tun space, we do still have some spaces for smaller parties in December – there are no Thursdays or Fridays left though. Simply make an enquiry to find out more. If you’re not able to book with us this year, since availability is ongoing, make sure to not miss out next year by booking your 2019 Christmas party now. Next year’s theme will be announced this December.